Find hotel near Bagan Archaeological Muse ..
Are you bored of visiting temples and Pagodas in Bagan and want to explore something else? Do you want to visit an attraction which will provide you with some enlightenment and will entertain you at the same time? Then you should definitely pay a visit to the Bagan Archaeological Museum. Even though the admission fees is slightly on the higher side, still the offerings the Museum has, will make up for the price. Also, you can’t carry camera inside the museum, hence be attentive while taking the tour. Closed on Mondays and Gazetted public holidays. How popular is Bagan Archaeological Museum? People normally club together Shwezigon Paya and Tharabar Gate while planning their visit to Bagan Archaeological Museum. Humble but highly informative. It's a massive building but don't be intimidated. The exhibits inside are simple but full of useful information. If possible, visit here before touring the many temples in Bagan. 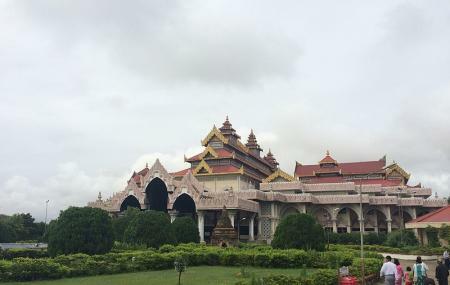 Unless you are a historian specializing in the Bagan Period and other Southeast Asian cultures, you'll learn a lot of useful information about crosscurrents, architectural approaches, history, religious beliefs resulting in various depictions of the Buddha and more. I wish I had realized how I could have developed a sharper appreciation for /understanding of what I was seeing the previous day! Allow 1-2 hours. Almost every caption and sign provides English translations. It is a perfect place, that you can see old Myanmar traditional.